A grant from the B.H. Breslauer Foundation enables the purchase of a rare American first edition of the H.G. Wells classic. 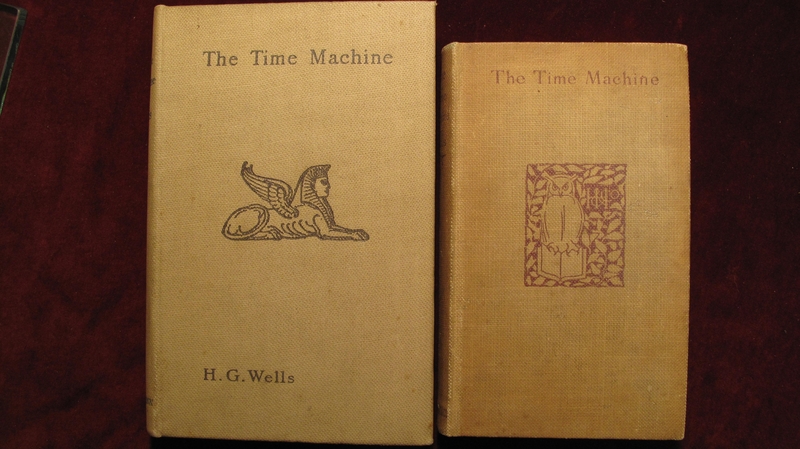 The rare, first American edition of "The Time Machine" is on the right, next to a first London edition of the H.G. Wells classic. RIVERSIDE, Calif. – When English novelist H.G. 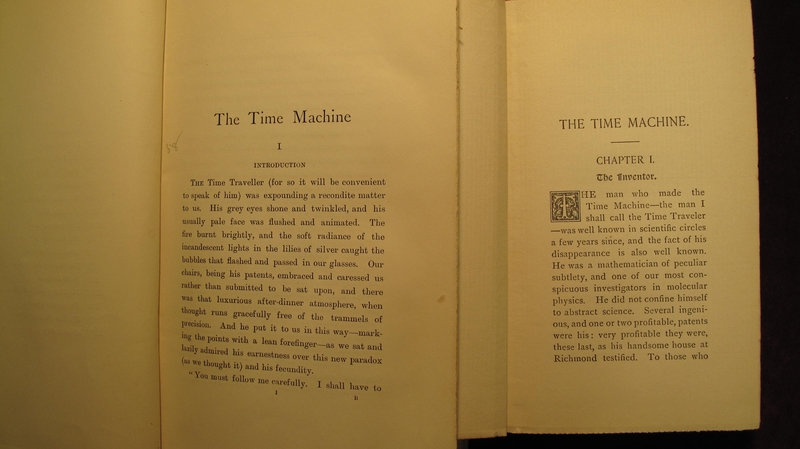 Wells completed his manuscript of “The Time Machine,” he submitted copies to publishers in New York and London. Both publishing houses – Henry Holt in New York and Heinemann in London – produced separate editions, the Holt version appearing a few weeks before the better-known Heinemann edition in 1895. The Eaton Collection at the University of California, Riverside acquired a rare, first American edition in January, becoming one of only 25 repositories in the world to own a copy. The purchase was made possible with a $10,000 grant from the B.H. Breslauer Foundation. Because the London edition was the source of all subsequent printings, fewer copies of the American edition survive. Both books will be on display in Special Collections and Archives on the fourth floor of UCR’s Tomás Rivera Library until early March. Acquisition of an American edition of “The Time Machine” has long been a goal of the Eaton Collection of Science Fiction, Fantasy, Horror and Utopian Literature, said Melissa Conway, head of Special Collections and Archives of the UCR Libraries. The collection is the world’s largest publicly accessible repository of science fiction and related genres. 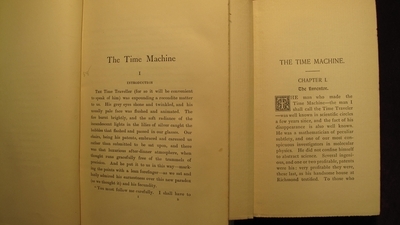 The Holt edition of “The Time Machine” differs from the Heinemann edition in important ways, Conway noted, including significant passages that are added or omitted. For example, the opening of the book includes a discussion of the scientific and metaphysical aspects of time travel, which is missing from the London edition. Holt also introduced some minor editorial changes, like Americanization of the language. The American first edition also misspells the author’s name – H.S. Wells – said Gwido Zlatkes, associate librarian, who found a science fiction book dealer with a copy of the book for sale. The New York City-based Breslauer Foundation awards grants to U.S. libraries that collect rare books and manuscripts. The opening pages of the American and London editions differ significantly. The better-known London version is pictured on the left; the American edition is on the right.